Police Service Commission promotes Dolapo Badmos, Galadanchi, Ojajuni, 411 others – Royal Times of Nigeria. The Police Service Commission (PSC) has announced the promotion of 414 Senior Police Officers, including the Ekiti state deputy commissioner of police, Mr Dasuki Galadanchi (CP), former Lagos police spokesman and Principal staff officer to the Inspector General of Police (IGP), Mr Olubode Ojajuni (ACP) and Zone ‘2’ police spokesperson, Mrs Dolapo Badmos (CSP). 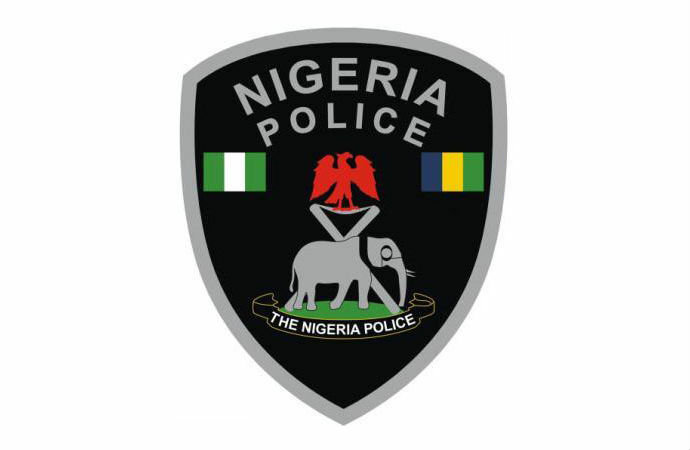 Three Commissioners of Police (CP) were promoted to the next rank of Assistant Inspector General of Police AIG; four Deputy Commissioners of Police (DCP) to Commissioners of Police (CP) and 12 Assistant Commissioners of Police (ACP) were elevated to Deputy Commissioners of Police (DCP). According to the Head, Press and Public Relations at PSC, Ikechukwu Ani, the promotions were among the highpoints of the 26th Plenary Meeting of the Commission held in Abuja from Tuesday, February 27 to Thursday, March 1, 2018 and presided over by the Chairman of the Commission, Sir Mike Mbama Okiro. Ani stated, “The Commission also approved the promotion of 61 Chief Superintendents of Police (CSP) to Assistant Commissioners of Police (ACP); 30 Superintendents of Police (SP) to Chief Superintendents of Police (CSP); 48 Deputy Superintendents of Police (DSP) to Superintendents of Police (SP) and 65 Assistant Superintendents of Police (ASP) to Deputy Superintendents of Police (DSP). One hundred and ninety one Inspectors were elevated to the rank of Assistant Superintendents of Police (ASP). “The three Commissioners of Police promoted to AIG are CP Danjuma Ibrahim, CP Istifanus Shettima and CP Jimoh Omeiza Ozi-Obeh. DCP. Bello Yahaya, Fave Semali, Mukaddas M. Garba and D.D. Galadanchi were elevated to the rank of Commissioners. “Some of the Assistant Commissioners promoted to Deputy Commissioners are Michael Aliyu, Danladi B. Lalas, Hilary Chukwunonyerem Igwe, Williams Adebowale, Sadiq Idris Abubakar and Rabi Umar. “Others are Stephen Hasso, Shehu Usman Shuaibu, Shehu Sani Gwarzo, Josephine Nneka, Abubakar Alhaji Baba, Sadiq Idris Abubakar, Abdulazeez Ismaila Obansa and Patrick Boroh. “Some of the CSPs promoted to Assistant Commissioners are, James Ikani, Joe Dan Arumse, Simon Lough, Ibrahim B. Maikaba, Olubode Ojajuni, Stella Naimi Gede, Jibrin Odoje Idrisu and Aliyu Abubakar. Others are James Ikani Mawedo, Ndoma Hilary, Jephita Suonengimote, Allanana G. O, Akeke Enimiyofia Olusegun Ajamolaya and Akinade Olusegun Adejobi. “The promoted SPs to CSPs include, Godwin J. Patrick, Oluremi Augustine Adesoye, Sulaiman Toyin, Godwin Okezie, Dolapo O. Badmos, Zone ‘2’ PPRO and Collins U. Eruogu former Commanding Officer, MOPOL 33, Ado Ekiti now attached to IGP Special Tactical Squad, Force Headquarters Abuja. DSP Uchenna Noah Onyinaya, Ogundile Akinlabi, Omar John Sini, Lami Suno Patrick and Magaji Musa were also promoted to Superintendents of Police.